Technology paper explains membrane dehumidifier performance. With many variables affecting the application of ionic membrane dehumidifiers it is important that the calculated performance closely matches that found in the practical implementation. This paper explains membrane dehumidifier performance and the calculation of drying performance in eclosures. A two‐layer model for a solid polymer electrolytic (SPE) dehumidifier is applied to a system in which the chamber to be dehumidified has some leakage area. 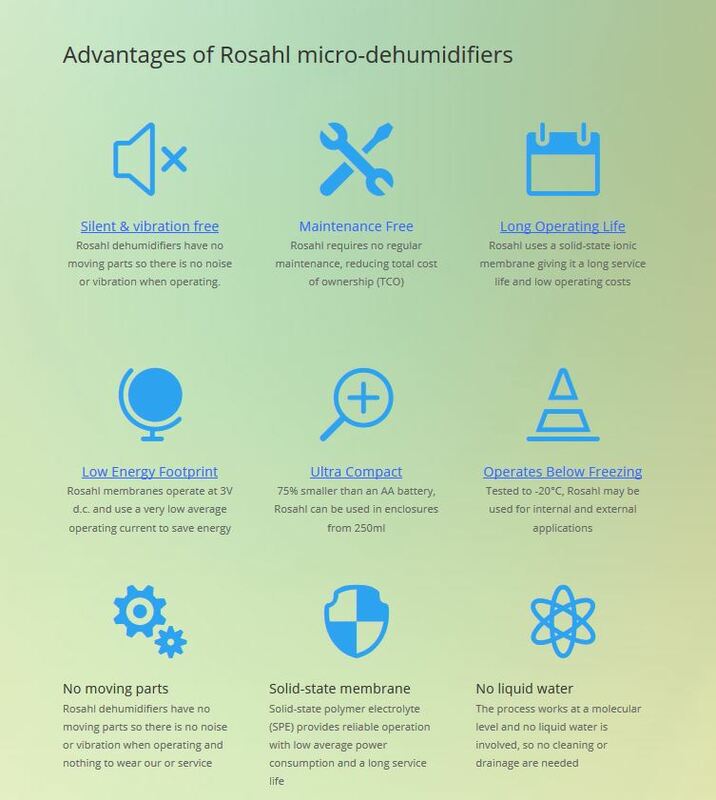 By introducing this area, the attainable humidity in the chamber, which is the steady‐state humidity to be attained after a long‐time dehumidification, can be defined. Experimental results of dehumidification by an SPE dehumidifier are compared to the calculations based on the two‐layer model for the SPE dehumidifier, which was presented in our previous paper. Equations for the two‐layer model are simplified by making use of assumptions for the current characteristics and a constant environmental condition, and it is reduced to equations including a differential equation on the time variation of the humidity in the chamber. The differential equation to describe the attainable humidity in the chamber and time constant for the dehumidification is obtained. The current flowing in the dehumidifier under steady state conditions is also given as a function of the humidities in the spaces facing the anode and the cathode. A diagram to estimate the attainable humidity and the time required for dehumidification from the dehumidifying area and leakage area is also given.